Robert Hardaway and his wife, Marina, have closed their small golf course, Hunter’s Run, near Oxford. Hardaway says he can’t keep up with the business. Hunter’s Run Golf Course is off Colorado Highway 172 near Oxford. Robert Hardaway has owned and operated it for 25 years. He wants to sell it after giving up on the process of subdividing the lot so that someone else can own the business while he and his wife continue to live in their home on the property. Hunter’s Run Golf Course, after nearly 25 years in business, has closed while the longtime owners try to find a buyer to take over operations in Oxford. Owner Robert Hardaway has owned the 60-plus-acre property for more than 40 years. In the 1990s, he and his family decided to run a golf course on part of the property. 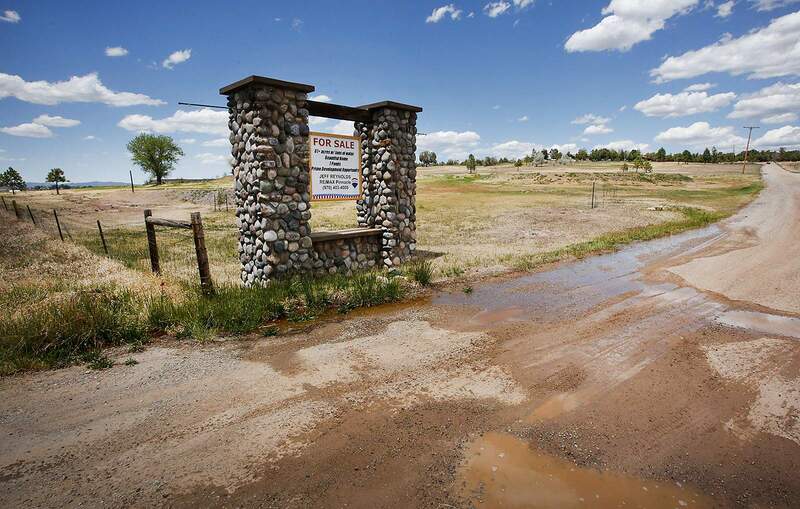 The property is about 16 miles southeast of Durango, off Colorado Highway 172, and about 8 miles from Ignacio. Hardaway said the nine-hole golf course has been a viable business over the years, serving as a great place for players to get introduced into golf, especially children. He said the course also offered affordable playing rates. But for the past several years, Hardaway has tried to sell the golf course. He and his family wanted to keep and live in a 3,500-square-foot home on 3 acres within the property. Last year, Hardaway said he found an interested buyer who would buy and run the golf course. The plan hit a snag. 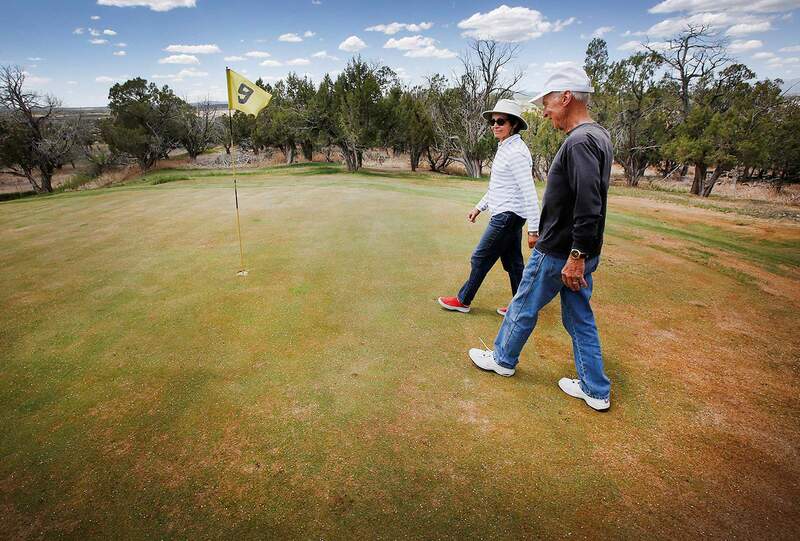 To separate the house from the golf course, Hardaway would have to create a “subdivision” lot specifically for his home through the La Plata County Planning Department. Hardaway says this process was overly burdensome and too expensive. He said a surveying company said it would take an estimated $200,000 to meet all the terms laid out by the county and San Juan Basin Public Health. Planning Director Jason Meininger said the county has codes it needs to follow. When creating a “subdivision” lot like Hardaway was trying to do, there are minimum requirements the landowner must take to identify aspects on the property so current and future landowners know where infrastructure exists. If water or sewer lines, or even roads, have been built over the years, it is important for that to be documented, especially to avoid future conflicts over access, Meininger said. Meininger disputed Hardaway’s estimate that it would cost $200,000 to complete the subdivision process. He said the process for surveying easements and other outside costs usually come in less than $1,000. Hardaway said he was also instructed to build a new engineered sewage septic system. San Juan Basin Public Health regulates septic systems. But Claire Ninde, spokeswoman for the health department, said they have no record of discussions with Hardaway. She said the department requires septic systems to be designed for the use they receive, and when uses change or expand, updates may be necessary. It is unclear why the process didn’t play out. “People come in oftentimes and want to pursue an idea,” Meininger said. “When they determine what it takes to fulfill that idea, they decide it’s not worth it. In this case, there was no vote, no decision, no staff denial. Ultimately, Hardaway chose not to go forward with creating a new lot and closed the golf course in the fall. Since then, he says Hunter’s Run has languished while he searches for a buyer interested in both the course and the home on the property. Hardaway still lives on the property. He and his wife intend to move to South America, where she is from, if a sale ultimately goes through.